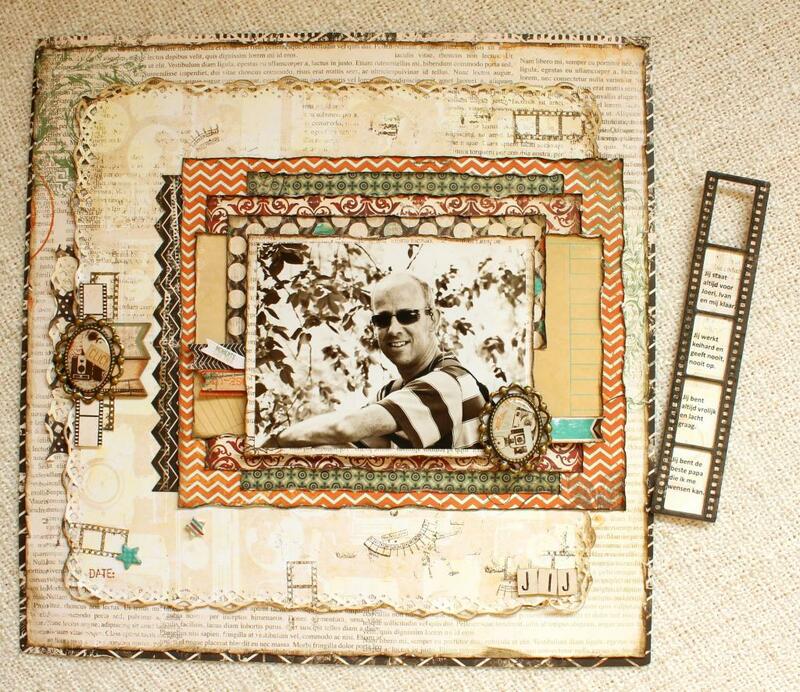 "In my opinion journaling is one of the most important things on scrapbook projects. But, since I love to use a lot of details on my lay-outs, I sometimes simply don't have enough space to add journaling. 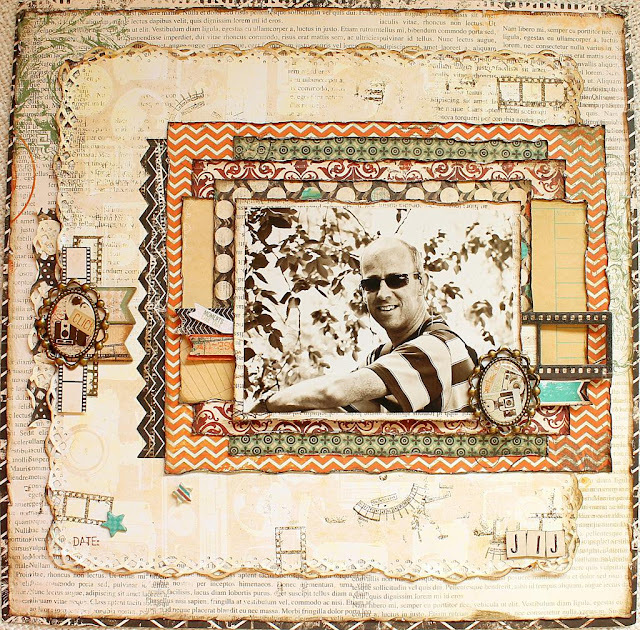 In this tutorial I will show you a creative way to add hidden journaling to your lay-out, using the chipboard filmstrip from the Mama-razzi 2 collection. 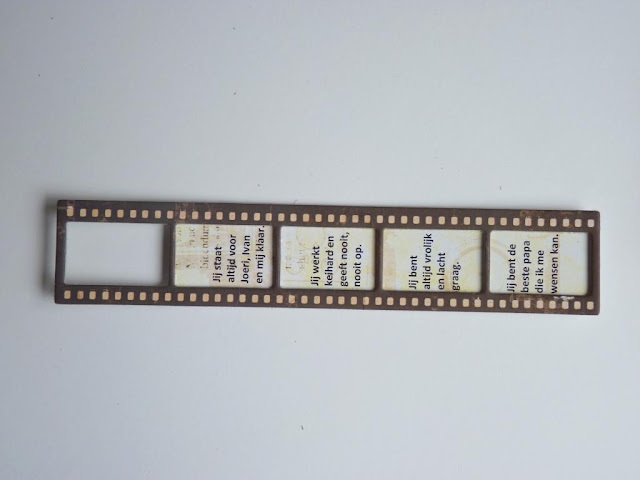 Inside this filmstrip I wrote a few words about what I love most about my father, in honour of Father's Day last Sunday. This is what the lay-out looks like when it is all finished. I will show you, step by step, how I did this. Write your journaling in Word and print it. 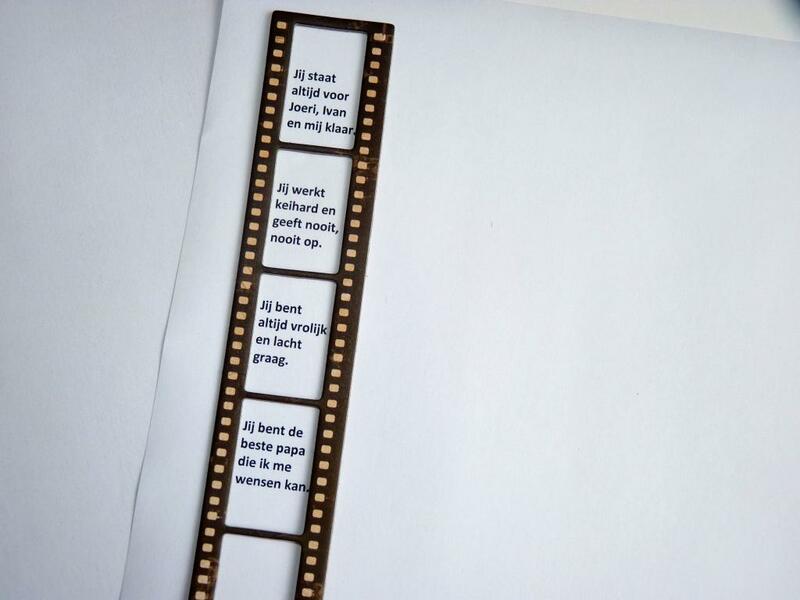 This will show you where the text will be printed on the paper and enables you to check whether it fits inside the filmstrip. Then cut out a small piece of patterned paper and attach it where the text is printed. 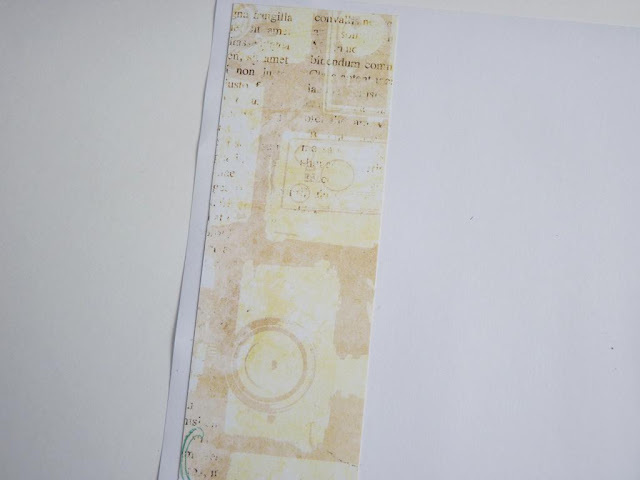 Place this sheet in your printer and reprint the journaling. I always prefer this way of printing journaling, as it enables you to not use more patterned paper than necessary. 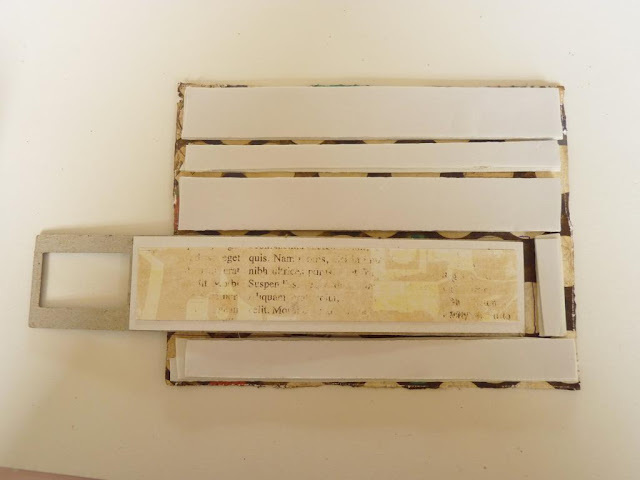 Cut the printed journaling into the right size, so it will fit the filmstrip perfectly. 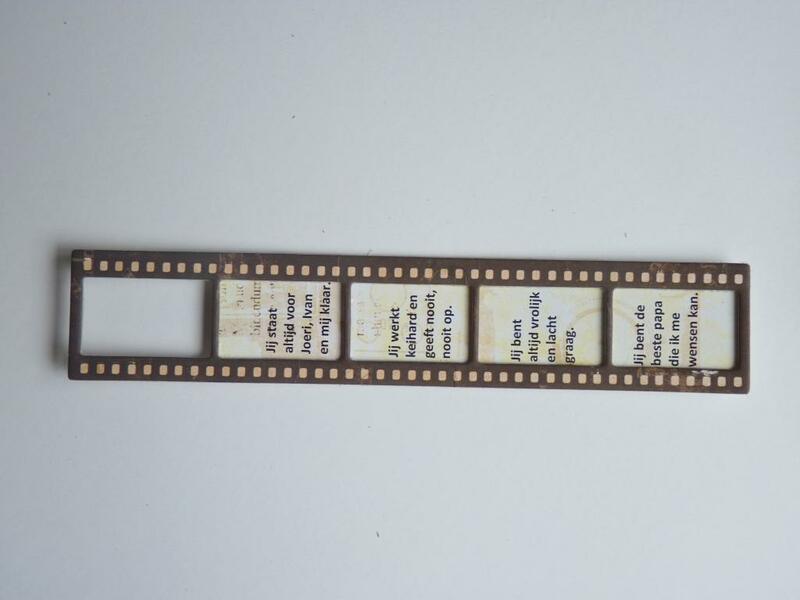 You can also add an extra layer of paper to the backside of the filmstrip to make it a little bit thicker. 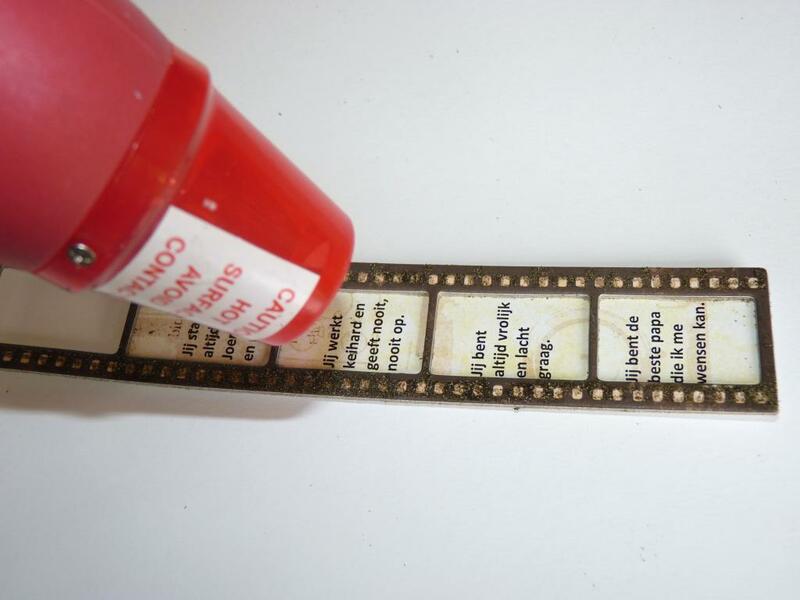 Heat embossing is a great way to add some texture to the filmstrip. Stamp with watermark ink on your filmstrip and then sparkle some embossing powder onto it. Use your heat tool to heat emboss the stamped patterns. 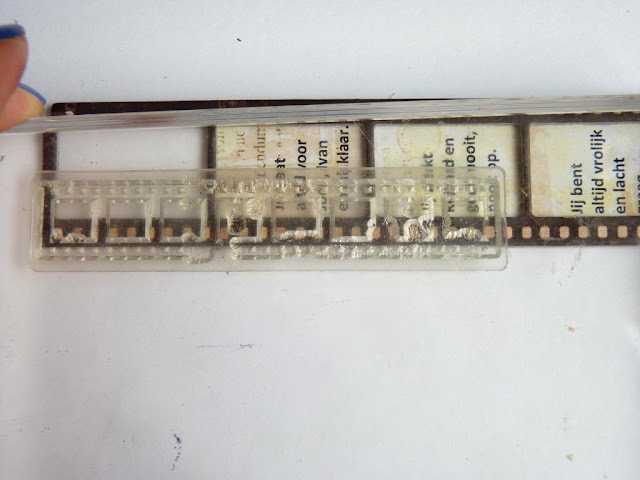 Now your filmstrip is finished. You can incorporate it wherever you like. For example, I choose to incorporate it on the right side of and behind my photo. To do this, I simply added a few layers of foamtape on the backside of my photo mat. I first drew lines where I wanted to have the filmstrip and used foamtape on the rest of the photo mat. I added three layers of foamtape to make sure the photo had the same height as the filmstrip. In this way it can be easily pulled out when you want to read the journaling." Romy, this is so clever, unique and wsome idea! Smart, a real room saver! 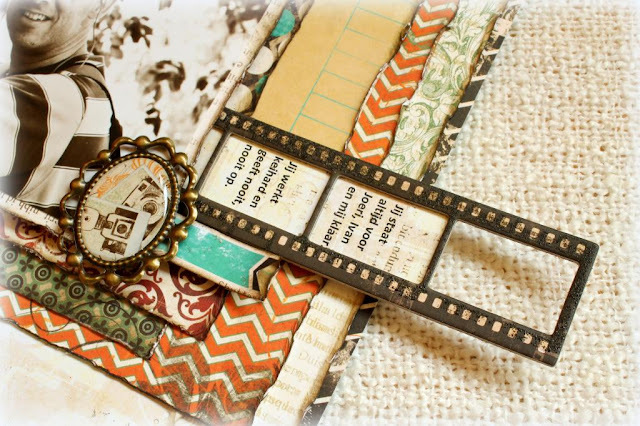 Very cute technique, I love the journaling in the filmstrip! What a great idea!! I just loveeeeeeeeeeee this!!! Beautiful!!! Great LO and cool idea! Thank you, Romy! 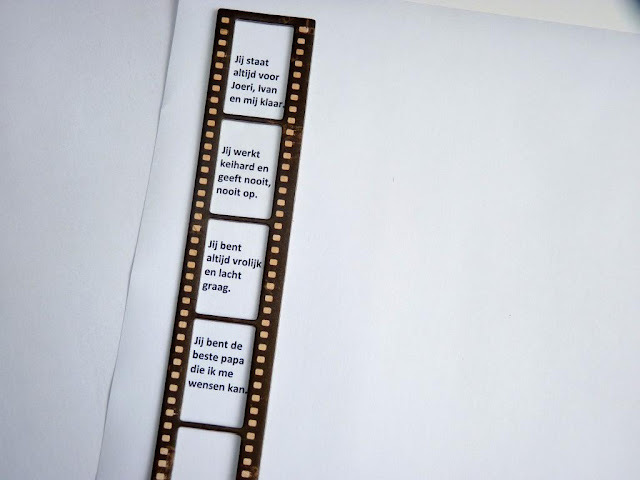 love the film strip idea.. mooi.